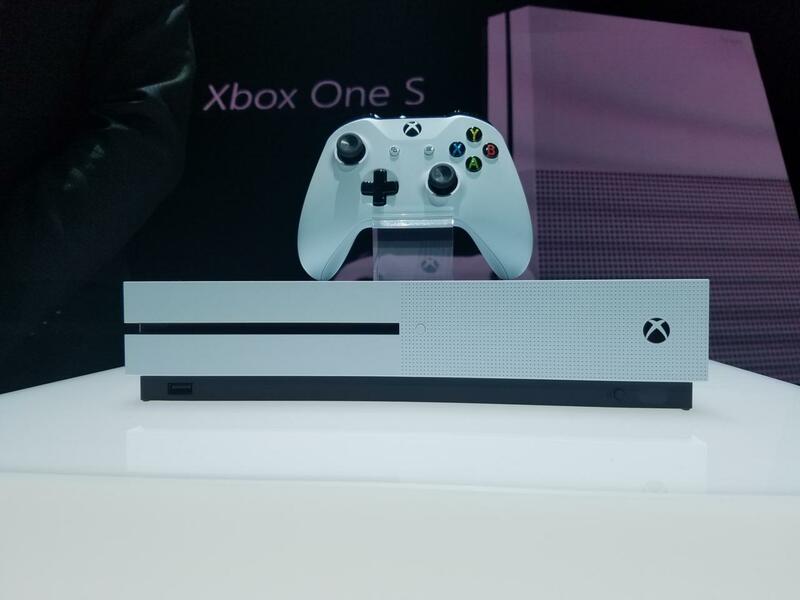 As we all known, Xbox One S will be released on August 2, 2016. I believe this new generation game console will give you wonderful experience in games and entertainment. For many video lovers, it will be a great visual feast to watch videos on Xbox One S. It considerates that you might run into Xbox One S formats incompatibility issues while watching videos, this guide focus on the best audio and video format for Xbox One S so that you can have a hassle-free video enjoyment on Xbox One S.
Xbox One S's Media Player app supports a wide variety of audio and video codecs, container formats and image file types. It even supports album art images stored in music folders. Show below according to Microsoft. How to play unsupported videos on Xbox One S? Obviously, we can find from the above list, some audio and video files are not supported by Xbox One S. So if you want to watch unsupported videos like H.265/HEVC, DTS, FLAC audio, compressed AVI, Tivo, MTS, FLV, VOB, MKV, etc on Xbox One S, a widely used solution is to convert them to Xbox One S recognized formats like MP4, AVI,WMV, as well as the audio file format like MP3. Here, we strongly recommend iFastime Video Converter Ultimate to convert all video file (incompatible formats and unsupported codec) to Xbox and play SD/HD/4K videos on Xbox One S without worrying about the media incompatibility problem any more. It will save you all the trouble. Transcode any videos (H.265/HEVC) to Xbox One S, Xbox One, Xbox 360, PS3, PS4, Wii, Wii U and so on. 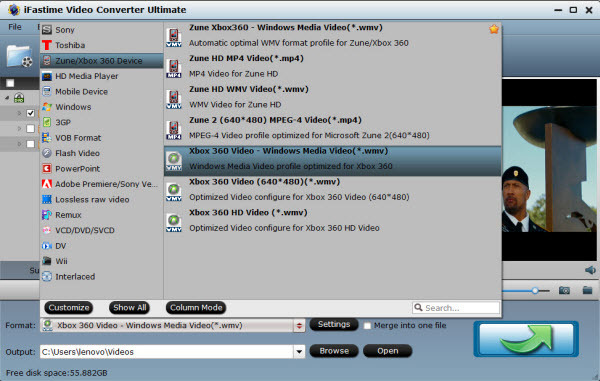 Convert media files between different video formats, output H.265 MP4/MKV, M3U8, etc. 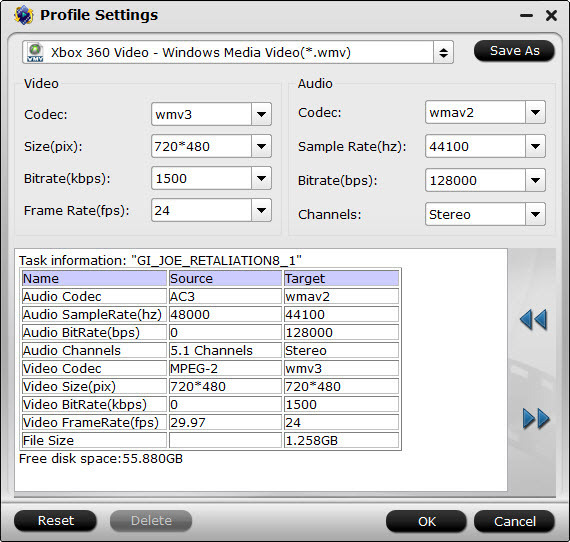 Based on Windows, it offers 6X times video conversion speed by H.264 codec. 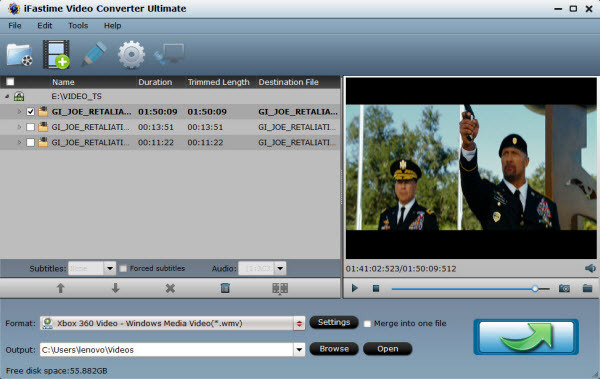 Create 3D videos from common video media files. Optimize video files in the following aspects: trim, crop, merge files into one, split, add subtitle/watermark/effect, adjust volume/channel/bitrate and rotate, etc. 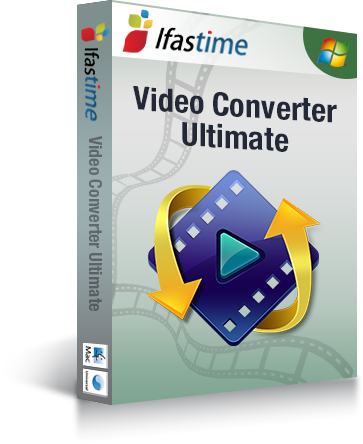 If you are a Mac user, please apply the equivalent iFastime Video Converter Ultimate for Mac. Click "Add Video" button to load your unsupported files to the program. You can also directly drag and drop your videos to it. After the movie is loaded, you can preview it on the right viewing window and adjust volume or take snapshots freely. Also, you can select one wanted audio track and subtitles for output movies with subtitles. Click the "Format" and pull down profile list to navigate to "Zune/Xbox 360 Device". Here, you can choose "Xbox 360 Video - Windows Media Video(*.wmv)", "Xbox 360 Video(640*480)(*.wmv)" or "Xbox 360 HD Video (*.wmv)" recognized by Xbox One S as output format. You can set the other choices by clicking "Settings" to enter the Profile Settings window if necessary. You can choose the proper bitrate, frame rate and sample rate here at all your needs to match your Xbox One S.
Only to click the "green" button on the right-bottom. It will start to convert video and music files to Xbox One S supported format. When the conversion is over, click the "open output folder" to open the files directly. There are two methods for you to realize watching videos and music on your Xbox One S.
Now, it's time for you to install this best video converter on your computer and refer to the tutorial to convert videos to your Xbox One S supported Video Format. Start to enjoy your visual feast at home!